Reclaim your time. 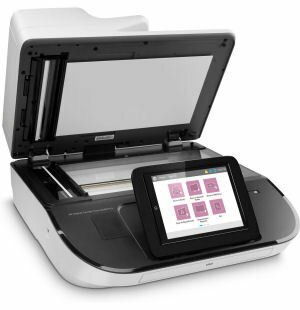 Scan up to 100 pages per minute and 200 images per minute3 (duplex). 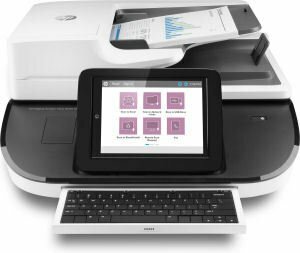 Easily manage scan jobs on the 8.-inch HP Easy Select color touchscreen with Quick Set Profiles and included pulloutkeyboard. Do more with data, using multiple scan-to options—folders,FTP sites, email, USB drives, SharePoint®, and more. 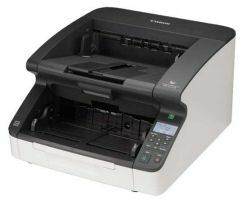 Count on high-volume performance, time and again—scan up to 10000 pages daily with minimal user intervention. 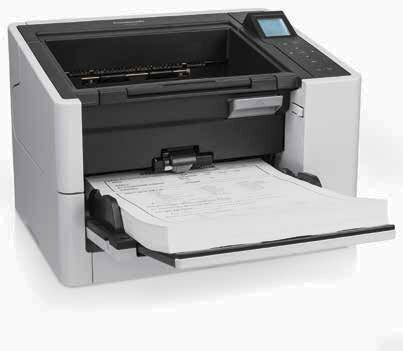 Manage big jobs with the 150-sheet automatic document feeder. Reliably handle scan jobs with mixed paper sizes and weights (up to legal size). 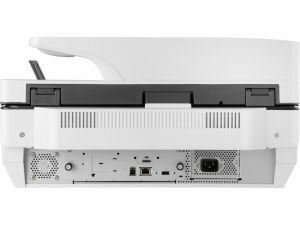 1 Based on published manufacturer specifications as November 2017. 2 Embedded OCR software, Scan to SharePoint®, Send to Email, Send to Internet and LAN, Fax, Send to FTP, Save to Network Folder, Save to USB drive, Address Book Management (network [LDAP], local, personal), Quick Sets, Image Preview and Page Edit, Job Notification, Send to Me, admin-controlled email fields. 4 Solutions deployed through the hardware integration pocket may require additional purchase. 5 HP Precision Feed is referred to as HP EveryPage on LaserJet Flow MFPs. 6 HP Web Jetadmin is free and can be downloaded at hp.com/go/webjetadmin. 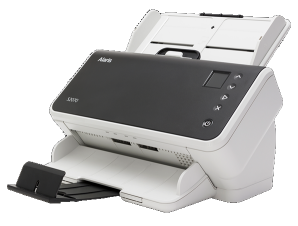 7 HP Capture and Route, and HP Flow CM Professional must be purchased separately. 8 Consult your HP Rep on ways to obtain an optional license for HP Digital Sending Software. One-year Next Business Day Onsite repair warranty, phone and Web support included. Warranty may vary by country as required by law. Go to https://www.hp.com/support to learn about HP award winning service and support options in your region..